National Film Board of Canada – Make Mine Criterion! MMC!‘s retrospective on the National Film Board of Canada wraps up where it first began, with the Canada Vignettes. Provided here are four MMC! favourites: Fort Prince of Wales (Brad Caslor, 1978), Spence’s Republic (Brad Caslor, 1978), Flin Flon (Tina Horne, 1978), and Lady Frances Simpson (Christopher Hinton, 1978). All take a cheeky view of Canadian history, reveling in its absurdities and undercutting ideas of “great men” leading the nation to some inevitable glory. And all, for some strange reason, have some connection to the Province of Manitoba. Go figure. An animated vignette about the role of Thomas Spence in the formation and demise of the Republic of Manitoba at Portage la Prairie in 1867-68. An animated vignette on the journey of Lady Frances Simpson, with her piano, from England to Lower Fort Garry. And so, that’s it for our retrospective on the National Film Board of Canada! 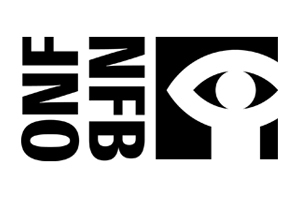 Did we make any NFB converts? Did anyone make any discoveries or find any favourites? We left a lot a deserving films and filmmakers out of this survey of the Film Board – would anyone like to see MMC! offer another retrospective for an Essential Works of the NFB Volume 2 next July? MMC! wraps up its review of the National Film Board of Canada with this penultimate post on the NFB’s first blockbuster, Royal Journey (David Barstow, Roger Blais, and Gudrun Parker, 1951). This 54-minute document of Princess Elizabeth and the Duke of Windsor’s monthlong visit across Canada and to Washington, D.C., is weighed down by some hokey narration, but it is a stunning record of the era, beautifully expressing the complex regionalism of Canada and standing as the first feature film shot on Kodak’s (then experimental) 35 mm Eastman colour film stock. Its presentation is full of newsreel immediacy, showing Canadian life, in nearly all its forms, in vibrant, shocking colour, yet the film is full of history and alludes to the young nation’s place in a larger geo-political context. And the short feature offers some fascinating moments in Canadiana, such Princess Elizabeth’s visit to the Winnipeg Ballet, an institution she would grant “Royal” status to less than 2 years later. (Admittedly, we Canadians are probably as weather-obsessed as the film would have you believe.) Royal Journey was a massive success for the NFB, seen by 350,000 people in its first week and 2 million people over the next 2 years, winning a BAFTA for Best Documentary in the process. A documentary account of the five-week visit of Princess Elizabeth and the Duke of Windsor to Canada and the United States in the fall of 1951. Stops on the royal tour include Québec City, the National War Memorial in Ottawa, the Trenton Air Force Base in Toronto, a performance of the Royal Winnipeg Ballet in Regina and visits to Calgary and Edmonton. The royal train crosses the Rockies and makes stops in several small towns. The royal couple boards HCMS Crusader in Vancouver and watches native dances in Thunderbird Park, Victoria. They are then welcomed to the United States by President Truman. The remainder of the journey includes visits Montreal, the University of New Brunswick in Fredericton, a steel mill in Sydney, Nova Scotia and Portugal Cove, Newfoundland. More recently, the National Film Board of Canada has found success in the face of dwindling government funding by refocusing its resources on its streaming site and on interactive web documentaries. One of the most successful of these multimedia film projects is Katerina Cizek’s Highrise (2009), an interrogation into the life of residential highrises that includes various web-based documentaries and a number of derivative works. Presented below are 4 short films that serve as the centrepiece to A Short History of the Highrise (2013), an interactive documentary examining the global history of vertical living. The first 3 films are constructed from the archives of The New York Times, while the last film is made from photos submitted by Times readers. A Short History of the Highrise alone counts a Peabody Award and an Emmy amongst it decorations, while the larger Highrise project has won various other prizes including 2 Webby awards, multiple Canadian Screen Awards, and another Emmy. In the first episode of a four-part series, “Mud” traces the roots of the residential highrise, from the Biblical Tower of Babel to New York’s tenement buildings. In the second episode of a four-part series, “Concrete” explores how, in New York City and globally, residential high-rises and public housing attempted to foster social equality in the 20th century. In the third episode of a four-part series, “Glass” examines the recent proliferation of luxury condos and the growing segregation between the rich and poor. In the final episode of a four-part series, “Home” comprises images submitted by New York Times readers, who show their lives in high-rises around the world. No celebrity or movie star appearance within the National Film Board of Canada’s library seems to generate more pride by the NFB than Buster Keaton’s appearances in The Railrodder (Gerald Potterton, 1965), a 24-minute comedy short, and Buster Keaton Rides Again (John Spotton, 1965), a 55-minute behind-the-scenes documentary. Buster’s films of the 1920s were undergoing something of a reappraisal at the time, and the NFB took up the opportunity to offer Keaton a chance to return to his roots as a figure of silent comedy riding the rails, this time across panoramic Canadian landscapes. Keaton turned 69 during the shoot and his age shows a bit on The Railrodder, whose more modest gags underwhelm at times. That said, we still love the short film’s ending, and most Keaton fans admire The Railrodder for producing Buster Keaton Rides Again, a fascinating companion piece that offers a portrait of the aging comedian, still insightful about his art and dogged in his work. This short film from director Gerald Potterton (Heavy Metal) stars Buster Keaton in one of the last films of his long career. As “the railrodder”, Keaton crosses Canada from east to west on a railway track speeder. True to Keaton’s genre, the film is full of sight gags as our protagonist putt-putts his way to British Columbia. Not a word is spoken throughout, and Keaton is as spry and ingenious at fetching laughs as he was in the old days of the silent slapsticks. In this film, Keaton rides across Canada on a railway scooter and, between times, rests in a specially appointed passenger coach where he and Mrs. Keaton lived during their Canadian film assignment. This film is about how Buster Keaton made a Canadian travel film, The Railrodder. In this informal study the comedian regales film crew with anecdotes of a lifetime in show business. Excerpts from his silent slapstick films are shown.